One of the most difficult decisions a pet owner will face is the decision to have a pet euthanized or “put to sleep”. Because most pets’ life spans are so much shorter than that of humans, losing a pet during your lifetime is quite likely. We all hope our pets will live long, healthy lives; then, when their time comes at a ripe old age, they will just drift peacefully off in their sleep. Unfortunately, this is not always the case. Some of our pets will be afflicted with devastating, incurable diseases like cancer. Some will become crippled to the point of suffering by diseases like arthritis. There may come a point in time where the pain and suffering they must endure destroys all quality of life. If there is nothing more we can do to help them, a choice to euthanize is humane, kind, loving and unselfish. In veterinary medicine, we are given a great gift in that we can alleviate pain and avoid anticipated future suffering for our beloved pets, in such a gentle, peaceful, dignified manner. When the time comes, for most of us it is a very difficult and emotional time. Sometimes, it can even be frightening, especially for people who have never had a pet euthanized before. Having no idea what the procedure involves or generally what to expect adds to the pet owner's distress. Only you as the pet owner can really know when it's time. You see your pet day to day and witness their quality of life. However, you can also consult your veterinarian; they are a great resource and will be able to offer objective, sound advice. Your pet will also give you signs when they're in pain. 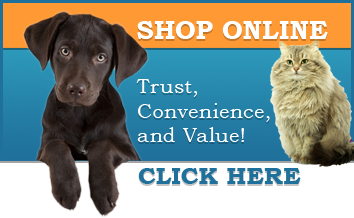 Consult the following resources to evaluate your pet's quality of life.  At Fairmount Animal Hospital, there are several different ways to approach this difficult event. Some people do not wish to be present for the euthanasia itself. They prefer to say good-bye to their pets, and entrust them to us and our very caring team members for the actual euthanasia. When this happens, your pet is attended to immediately. There is no waiting in a cage or holding area. Your pet is handled gently and with respect. The injection itself is an anesthetic drug called pentobarbitol. It is injected into a vein on a front leg. Because it is an anesthetic agent, your pet will painlessly lose consciousness first, similar to being anesthetized for a surgical procedure. Then, while your pet is peacefully unaware, the drug goes on to cause cardiac and respiratory arrest. The whole process takes only a few seconds. Many people prefer to stay with their pet throughout the entire process, so that they can share those final moments. When you come in with your pet, your doctor will discuss with you some available options that can help make this difficult experience as peaceful and easy as possible, for both your pet and you. If your pet is still active and alert, electing to have a sedative given ahead of time makes the time when the actual euthanasia injection is given quieter, more peaceful, less dramatic, and easier to witness. The sedative will relax your pet to the point of sleeping, so your pet is less aware of the insertion of the needle. Your doctor may also offer the pre-placement of an intravenous catheter so that your pet doesn't have to feel a needle stick at all during the actual euthanasia. Again, the drug used for the euthanasia is an anesthetic agent, so your pet will not feel any pain or anxiety. Your pet will lose consciousness first, then drift peacefully away. The next decision you must make is what to have done with your pet's remains. Cremation is the most popular choice, as home burial is often difficult or impossible. Our hospital provides a group cremation option, which means your pet's ashes will not be returned to you. If you would like to have your pet's ashes back to keep or to spread somewhere special, we work with a cremation service that offers individual cremation. They also offer a very nice service in that they will come to our hospital to pick up and transport your pet's remains, sparing you this painful duty. For those who wish to bury their pet at home, we provide basic cardboard caskets and remind you to check your local burial laws. If you're interested in purchasing uniquely made pet urns, visit www.Malloryvillepottery.com.